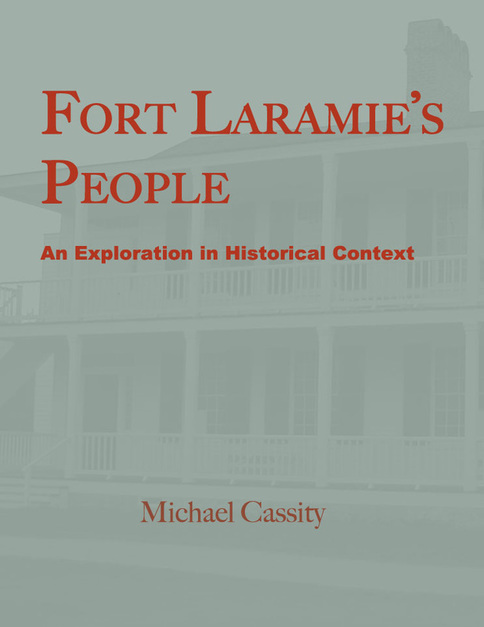 Fort Laramie’s People: An Exploration in Historical Context examines the process of social change associated with Fort Laramie, a process that is considerably greater than the customary “forts and fights” focus of some histories. The critical element in this account is the transformation of a community based on tolerance, acceptance, decentralized authority, political and economic equality, and diverse cultures to people who are fragmented culturally and whose institutions are centralized in power, a society that tended to leave aspirations and values of many of its members aside or make of them outcasts because of their values. Click on the cover of the book above to download it as a PDF.